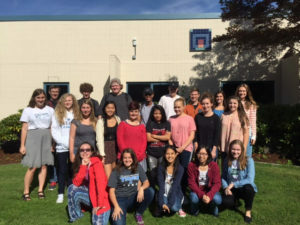 Gig Harbor High School believes that interscholastic sports and activities promote sportsmanship and citizenship. The athletic/activity programs instill pride in school, community, teach lessons for life, self discipline, and develops students physically and emotionally. Activities/athletics are an extension of a solid educational program. Research shows that students who participate in activities/athletics tend to maintain higher grade point averages, better attendance, and fewer discipline problems. Participation in the Gig Harbor High School activity/athletic program is a valuable part of a student’s high school career. Click HERE to REGISTER for Athletics on FamilyID. Click HERE to PAY for Athletics (per sport), and ASB card (per school year). Click HERE for SSC website to view Game Schedules and Rosters (when applicable). **Please be aware that the sports physical on file in the Athletic Office MUST be valid through the ENTIRETY of the season that is being registered for. Also, if there is any paperwork that needs to be on file with the school nurse, it must be submitted and approved before registration can be approved.